When it comes to soup days at home, I’m always ecstatic. It gives me a break from trying to figure out gluten free recipes for my ajebutter who has food allergies. 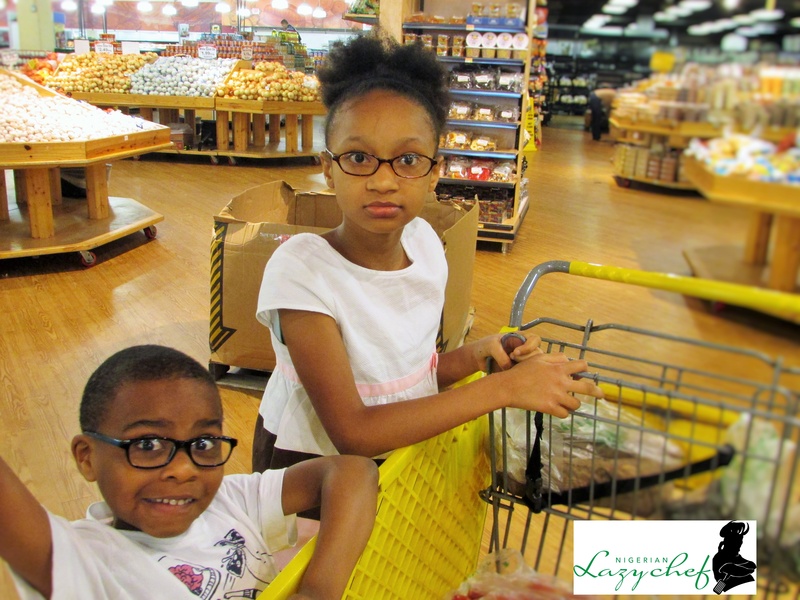 This blog is about life, love, and food, so please permit me to talk about my children a little bit. I have two children and I call them my ajebutters because of their very fragile nature. After my son was born, he suffered from strabismus. He had a tough time speaking and a tough time breathing. After a few surgeries, and some intense therapy he began to speak and he began to feel better. I wrote about him on my private facebook page as well as talked about it with some friends who I felt held my hand through everything. I was happy, but little did I know that I was living in a fool’s paradise as some of these people who offered to hold my hand were in the secret mocking my child and I. Did I get angry? yes! Did I want to curse them? yes! But when you look at GOD as the author and finisher of your faith why bother? Back to the recipe. 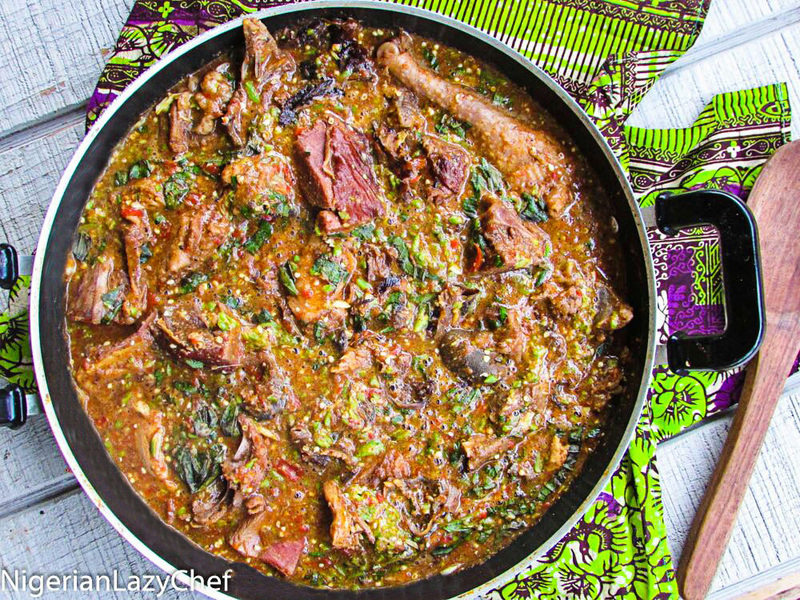 Ogbono and Okra soup is “bae” for us. I got this recipe from my brother and tweaked it to fit my needs. My brother got on the “no oil” train a long time ago, so I’ve sort of always cooked like this sometimes. 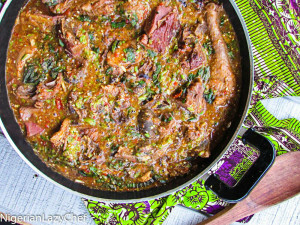 If you wish to use oil for this recipe, add it right before you add the Ogbono and cook for 3-5 minutes before pouring in the Ogbono. This entry was posted in Eating Healthy, Fufu, gluten free nigerian recipes, Gluten free recipes, Healthy Eating, Healthy Nigerian, Healthy Nigerian Dishes, Healthy Nigerian recipes, Nigerian local soups, Nigerian soups, Nigerian Stew, Nigerian stews, Oiless recipes, Okra soup, Sauces, Soups and tagged Nigerian food blog, Nigerian oiless soup recipe, ogbono soup recipe, oiless Nigerian soup recipe, Oiless ogbono soup recipe, oilfree ogbono recipe. Hi. 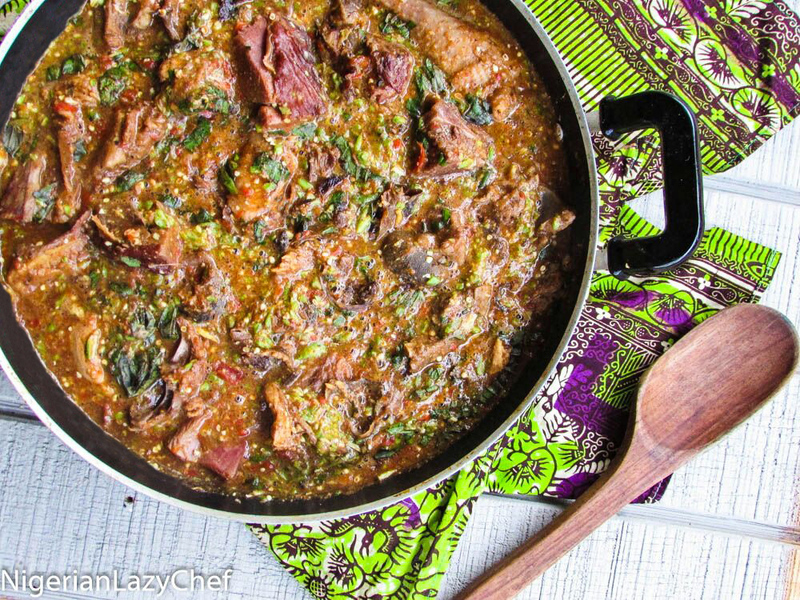 I got in an argument with my friend over the addition of tatashe to ogbono soup. What is it’s purpose? My side of the argument is that is doesn’t belong. Never saw it till yesterday and I didn’t like it. I been searching the net to find out if this is common and I see you have it in your recipe here.